Facebook Updates iPhone App With Chat Heads and Stickers: “Now you can keep chatting even when you’re doing other stuff on Facebook, like checking your news feed. Tap Chat Heads to reply, drag them around or flick them down to close.” And you can also add stickers to your messages. 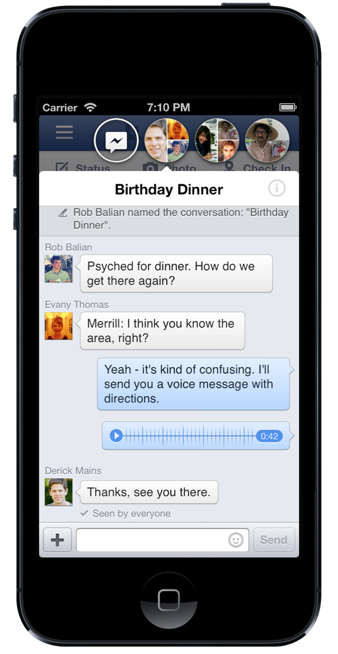 The Facebook iPhone app's new Chat Heads make it easy to follow chat conversations on the go. How should I run my Facebook ad? What are the best social media measuring tools for a small business on a budget? 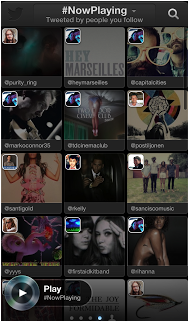 "You can navigate to #NowPlaying to view and listen to those songs." 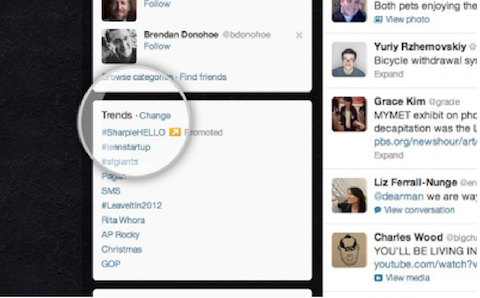 Twitter Trends are now available in many more countries. 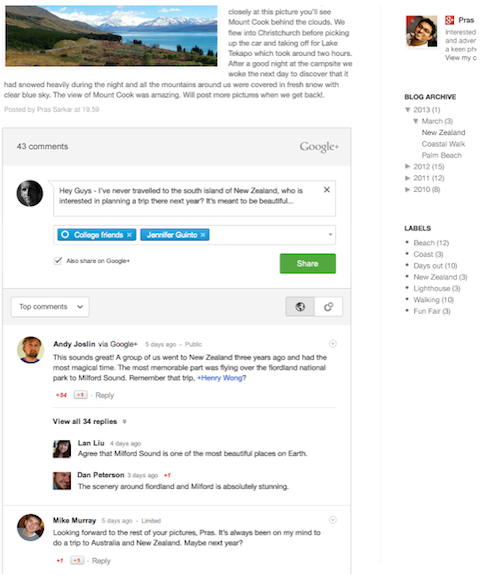 Google+ Comments Come to Blogger: “You can bring Google+ Comments to your Blogger blog. Once you’ve enabled the feature through your Blogger Dashboard, you’ll enjoy a number of important benefits.” Will Google+ Comments expand to other platforms in the future? To get started with Google+ Comments, just visit the Google+ tab of your Blogger Dashboard, and check Use Google+ Comments. The Rollup: a free tool to help you manage your inbox by combining and managing selected subscriptions into one convenient daily digest email. 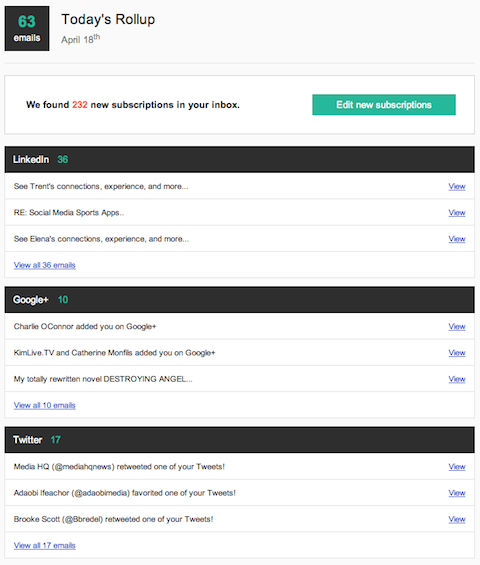 The Rollup helps you to manage your email subscriptions. Wajam: a free tool to find out what your friends share by adding a social share section to your Google search page.